For some reason throughout my collecting of film cameras, I have been constantly intrigued by ridiculously lo-fi plastic cameras. These cameras range in form from the freebies that were given with magazine subscriptions and bank accounts to the purpose made Holga and Diana plastic beauties. The nice thing about the supremely crappy ones is that one can pick them up for a dollar or two at local thrift stores. I will run through my favorites of these plastic gems in somewhat chronological order as I obtained them. 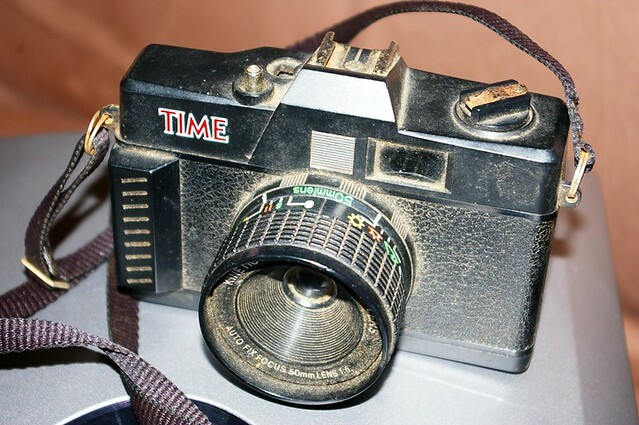 The Time Magazine 35mm film camera. I picked this one up in the local Animal Aid thrift store. I believe it was 2 or 3 dollars. It was a cruddy and dirty mess, but I had seen some nice results so figured it would be worth cleaning up. 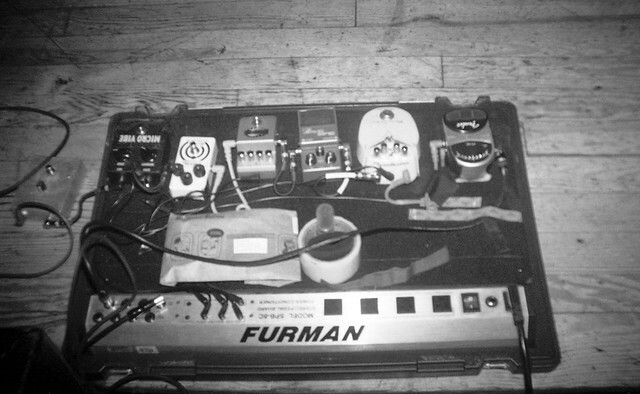 ­­Heck, it even had a hot shoe! It features the 50mm Kinetic Optical lens…sounds great, huh? Settings include the “Diana-ish” sunny, partly sunny, partly cloudy, and cloudy for aperture and one guy, multiple guys, or landscape for focus. I have enjoyed using this camera and have had fun with a flash on it. 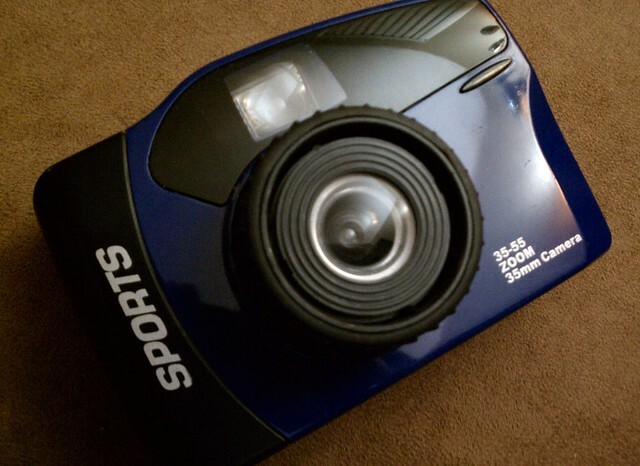 The third camera I will mention is my latest addition, the “no name” blue and black “Sports” model 35-55 zoom 35mm camera! Just got this for $2 at a new Goodwill store I just found. Haven’t run film in it yet, but will soon. Its controls include a manual zoom ring on the lens that even zooms in the viewfinder…how high tech! If you are dabbling in film at all, I highly recommend this type of camera. It’s great when you are feeling overwhelmed with f-stops and shutter speeds and all of the other decisions to make when shooting. It brings photography to its purest form of light/shadow and composition. And as I like to say, it’s not the camera that takes the photo, it’s the artist behind it! This is the second in my series introducing my collection of film cameras. 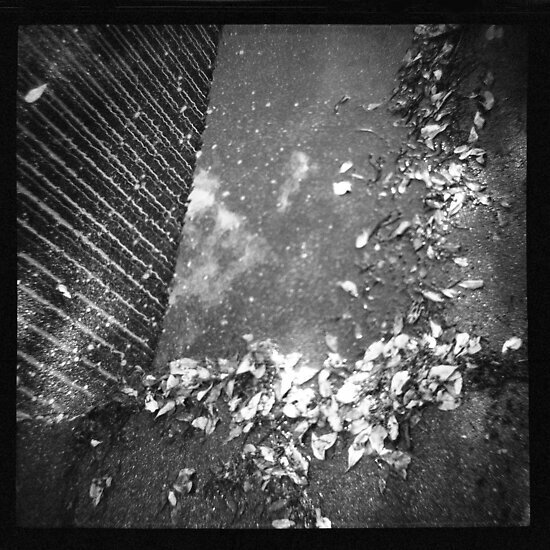 This one features the lovely and talented original Diana plastic camera from the 1960s. 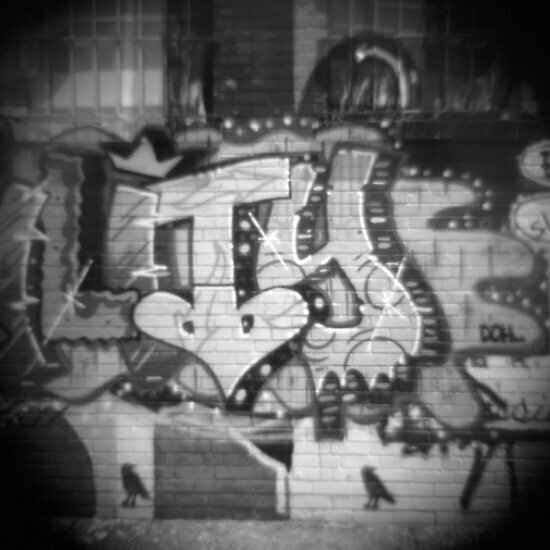 The Lomography Diana F+ was the one that led me back down this filmy path I am on. She was sitting on a shelf at the Urban Outfitters store where I saw her and fell immediately in love! She was a remake of a camera I had when I was a wee lass of only six years old. Dad had brought cameras back for all seven of us kids from overseas where he was stationed with the Air Force. I guess these little plastic Dianas fit the bill quite well since they were cheap for a military budget for their seven offspring and lightweight to carry back with him. Now there is this bright and shiny new model luring me back to the dreamy images of my youth! I didn’t have the funds at the time to pick up this lovely lady, but the hubby knew how much I wanted her. He found a store locally (oddly, we didn’t have an Urban Outfitters nearby) that sold the camera. It was a clandestine trip for me to Bear & Bird Gallery at Tate’s Comics (http://www.tatescomics.com/bearandbird/) as I would later enter a Diana image in an exhibition there and continue to be a loyal customer. I loved the look of the heavy black vignetting and softness at the edges. 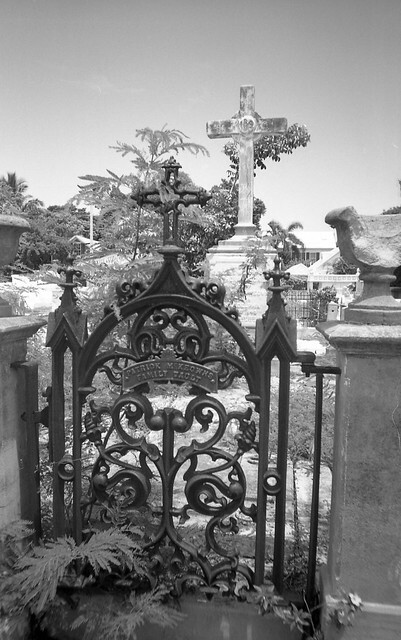 That, combined with the sharp center on the image gave it a dreamlike, ethereal quality. 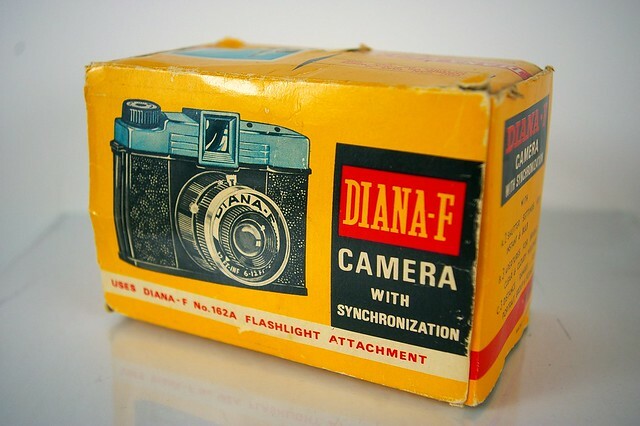 After using this modern Diana camera, I thought more and more of the one I had as a child and wondered how it would compare. 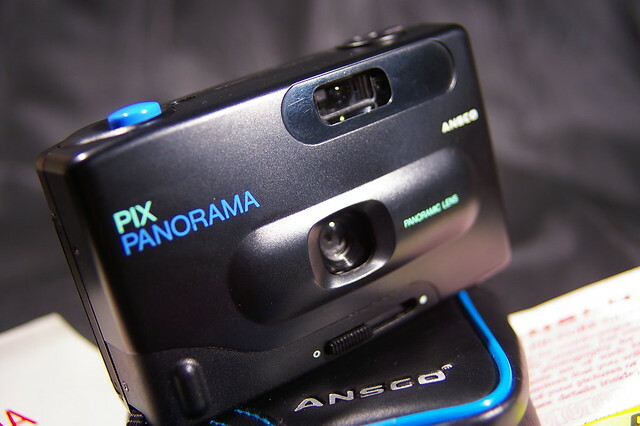 I priced them out on internet auction sites, but they were a bit out of my range and with plastic cameras of that age, it was hard to tell what one would get. So after figuring that wouldn’t happen, a friend of mine said he had one in the original box around somewhere and I could have it for a great price. I jumped at the opportunity! I’ve had a project accepted by KickStarter! Vintage Camera Tees Designed by Me!